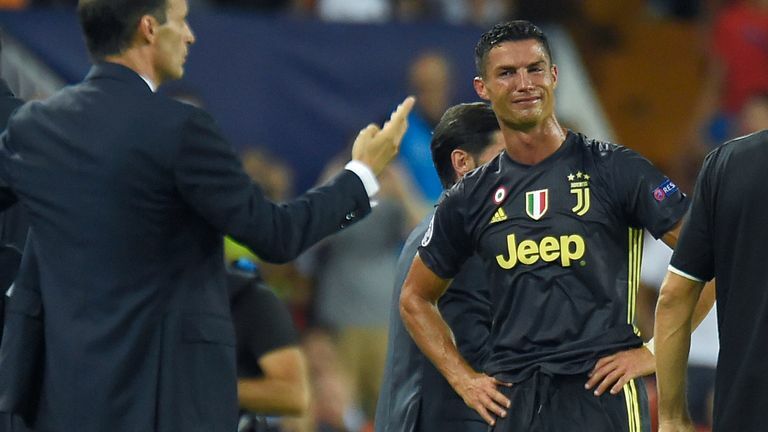 Cristiano Ronaldo will have to wait until September 27 to discover whether he will be suspended for two matches against former club Manchester United after being sent off for Juventus at Valencia in the Champions League on Wednesday. A red card in the Champions League results in an automatic one-game ban with no right of appeal, so Ronaldo will definitely miss Juventus' next match, against Young Boys, on October 2 in Turin. 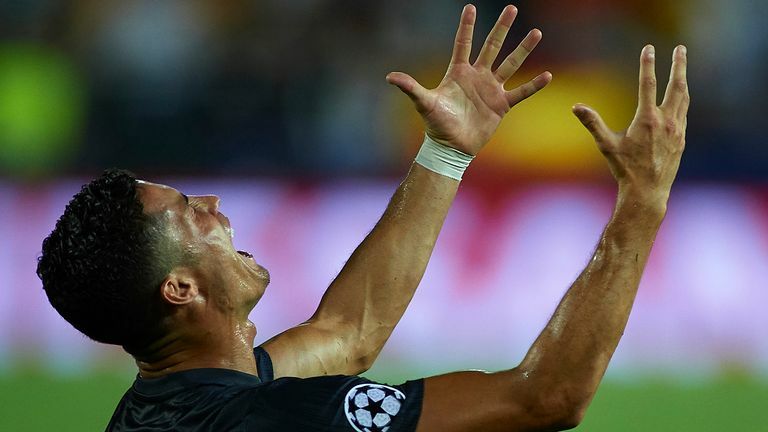 Ronaldo has been charged by UEFA, whose Control, Ethics and Disciplinary body will now meet next Thursday to decide whether further punishment is appropriate, which could mean his ban is extended. Juventus' following Champions League Group H games are both against Ronaldo's former club Manchester United on October 23 (at Old Trafford) and November 7 (Allianz Stadium). A tearful Ronaldo left the pitch in disbelief in the 29th minute following his dismissal, having aimed a petulant, but seemingly harmless, kick at Valencia defender Jeison Murillo. The Portuguese player then made contact with Murillo's head while urging him to get up, with the official behind the goal signalling for an offence. German referee Felix Brych consulted with his assistant and opted to send him off. The only 'unknown' is what Ronaldo said to the referee, which has the potential to extend his ban. It was Ronaldo's first red card in 154 Champions League games. UEFA regulation 50.01 states: "As a rule, a player who is sent off the field of play is suspended for the next match in a UEFA club competition (i.e. UEFA Champions League, UEFA Europa League or UEFA Super Cup). If Ronaldo's ban is extended by UEFA and Juventus opt to appeal, the hearing would have to take place before Juventus' away trip to Manchester United. Juve, who shrugged off their numerical disadvantage to win 2-0 through Miralem Pjanic's pair of penalties, could appeal the decision but head coach Massimiliano Allegri led calls for the introduction of video assistant referees in the competition.